This report was updated in 2009 to reflect the name change of the Cathedral Heritage Foundation to the Center for Interfaith Relations in 2006, though the report reflects research conducted by Hillary Bogert in 2005. 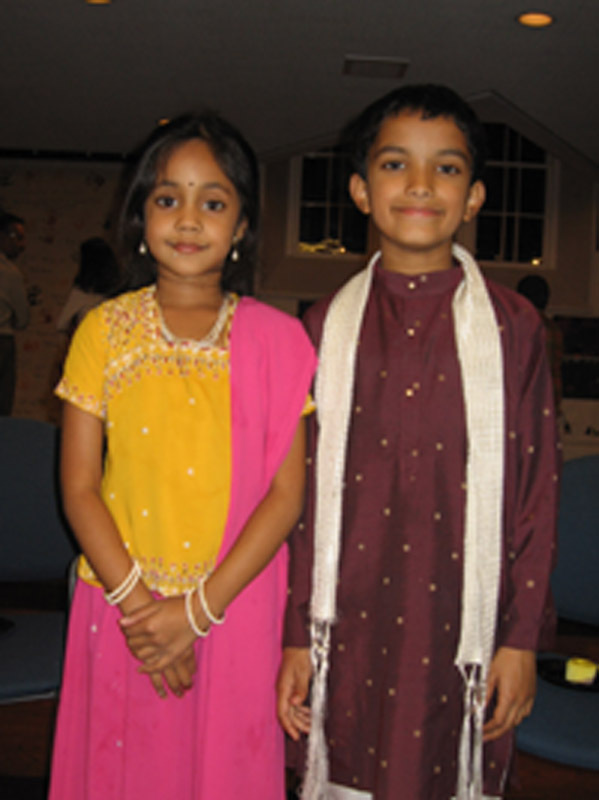 In 1996 the Center for Interfaith Relations (formerly the Cathedral Heritage Foundation) of Louisville, Kentucky held its first annual Festival of Faiths to celebrate the religious heritage of the Louisville region. This interfaith event has since grown to be recognized by the United States Senate as a model for interfaith activity. This year marked the tenth anniversary of the Festival of Faiths. 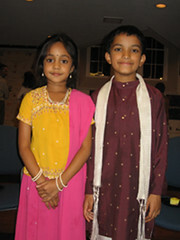 The Festival of Faiths is organized by the Center for Interfaith Relations. 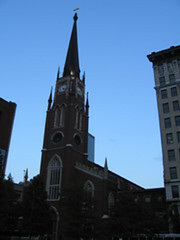 The Center (formerly the Cathedral Heritage Foundation) was formed in 1985 to oversee the restoration of the Cathedral of the Assumption in downtown Louisville. 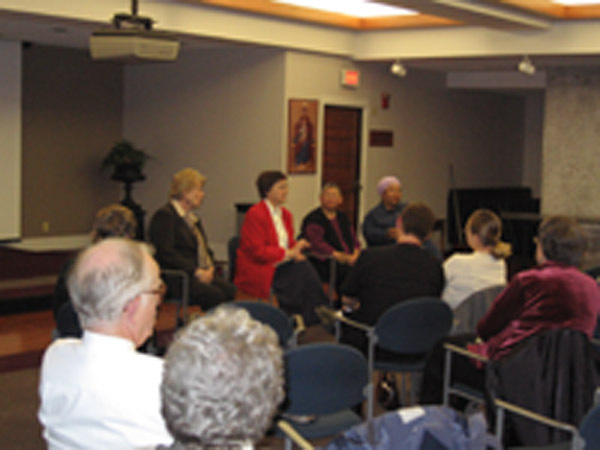 In 1991 they organized the first Interfaith Thanksgiving Service, and in 1992 they received a grant from the Lilly Endowment to begin a Museum of Faiths. 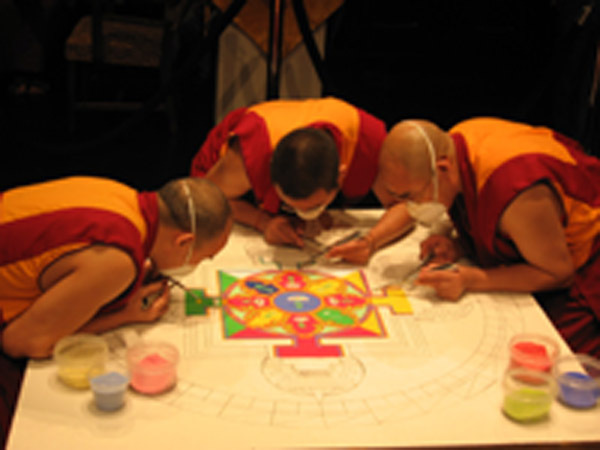 The mission of the Center since 2006, when its name was officially changed, has been a “focus on interfaith understanding, cooperation and action”. 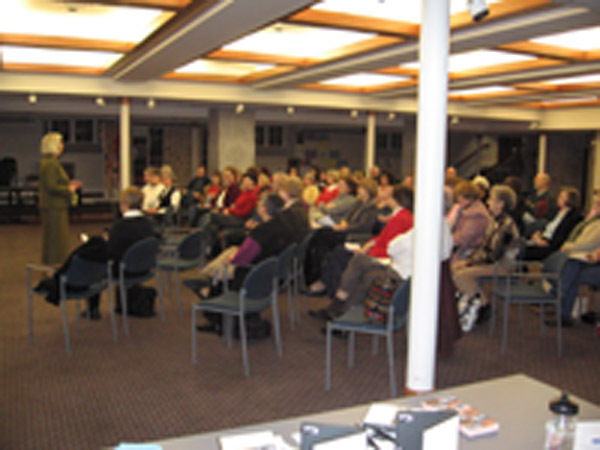 As a research associate for the Pluralism Project, I attended the 2005 Festival of Faiths. While there I was able to participate in several Festival events as well as speak to participants about their experiences. This data was enhanced with information about the Center for Interfaith Relations and the Festival of Faiths found on the Center’s website. The following event descriptions and participant reactions are based on my research at the Festival. 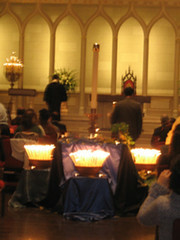 The 2005 Festival of Faiths was held from November 6-13. The theme was “The Faces of Faith and Cooperation,” and the Festival consisted of twelve events that addressed this theme. As part of the tenth year of the Festival, the Center for Interfaith Relations also started the Passports to Understanding Program to carry the work of the Festival on throughout the year. The 2004-2005 year marked the first year of the Passports to Understanding Program. The purpose of the program is to invite pilgrims (individuals/families) to enhance their understanding of various faith traditions by visiting area houses of worship. “Pilgrims” must visit at least three houses of worship on the list of participating communities and have their “passports” signed by the official guide for the community. Participants are encouraged to 1) visit the house of worship and speak to a guide about the house’s faith tradition, 2) attend a worship service, and/or 3) attend an official “Passport Event” hosted by the community. After visiting at least three faith communities, participants turn in their passports for a certificate of completion as well as a coupon from a local retailer. Pilgrims have the entire year to visit the houses of worship and redeem their passports. The length of the program is meant to extend the work of the Center for Interfaith Relations and the Festival beyond the one week in November. 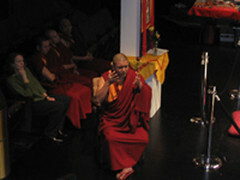 The events of the 2005 Festival were organized around the theme of “The Faces of Faith and Cooperation.” Festival events included: the Interfaith Thanksgiving service, held at the Cathedral of the Assumption and attended by over three hundred people; the construction of a sand mandala by monks from the Sera Jhe Monastery in India; the Interfaith Prayer Breakfast, which included the presentation of awards to community activists and a keynote address by Martin Marty; a screening of the film Acting on Faith: Women’s New Religious Activism in America, released by Rachel Antell and the Pluralism Project in early 2005; and a panel featuring former Secretary of Defense Robert McNamara about the response of faith communities to the problems of nuclear proliferation. 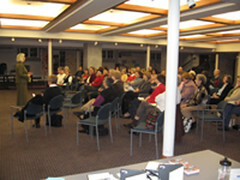 The third annual Mayor’s Neighborhood Summit was also advertised by the Foundation as a program of interest for Festival attendees, especially the panel “Faith Communities and Neighborhood Associations.” This panel included speakers from several Louisville area United Ministries, each of whom spoke about how faith communities and neighborhood associations could work together. Several people who attended various Festival events thought that it was an important program for the Louisville community. Sheilah Miles is a member of a local Jewish congregation, The Temple, and the wife of The Temple’s rabbi. For her the Festival is important because “we are brothers and sisters in the same community who must work together to make it a better place.” She has attended the Children of Abraham dinner over the years and has found that more people attend the dinner now that it is incorporated into the larger Festival, a growth which she believes is good for the community. Sister Pat Kenoyer of the Sisters of Loretto was also attending her first Festival of Faiths. She thinks the Festival is important because, in her opinion, “the future will be interfaith and unless we are provided with places to talk and pray together that future won’t come about.” She believes this is especially important given her perception of the attitude of the United States to the rest of the world. The success of the Festival of Faiths as an interfaith event has prompted many communities to request help from the Center for Interfaith Relations in organizing similar events around the country. Some of the Center’s advice is listed below. For many communities, the toughest challenges of hosting a Festival of Faiths are likely to be financial. Matt Hayes, former executive director of the Center for Interfaith Relations, explains that in Louisville, the Festival is part of CIR’s operating budget, and so fundraising is not a concentrated effort. This does not mean, however, that community groups and individuals are not essential to funding a successful event. Throughout the year, CIR keeps track of the amounts donated to the organization. Then, each year before the Festival, CIR sends out a letter informing those groups and individuals who have donated a certain amount of money that they are eligible to sponsor a particular event or day. Other groups will donate gifts in kind to CIR for use at the Festival–everything from printing services to event space. Some groups, such as the local Young President’s Organization, will pay the travel and lodging expenses of some Festival guests. Hayes emphasizes that these relationships are what allow the Festival to go on. The only attempts to recover costs of the Festival occur at ticketed events, such as the Interfaith Prayer Breakfast or the Children of Abraham Dinner. Volunteers are also essential to the Festival of Faith’s success. Landon Whitsitt, former program director for CIS, notes that many volunteers get involved with the Festival because they have friends who are involved. Many of the volunteers, according to Whitsitt, are between 35 and 45 years of age and generally have a fair amount of free time. There are, however, those volunteers who don’t necessarily have much time but are nevertheless passionate about the Festival. When asked what the biggest challenges of putting together a Festival of Faiths are, Whitsitt believes there are two. The first is simply the logistics of running such a big event: making sure people are where they need to be, when they need to be there. The second major challenge is making sure that each program focuses on the annual theme of the Festival, but does not overlap with other programs. The Festival of Faiths has been praised nationwide as a premiere example of interfaith work. According to Martin Marty, many people “develop a low threshold of boredom for those [interfaith events] that confine themselves to joint worship, thinned-out theologizing, smiles, and similar expressions of goodwill.” To him, Louisville’s Festival of Faiths is a definite exception. To download the full report as a Word document with hyperlinks, click here. To download the full report as a PDF document without hyperlinks, click here. You can also download a report on the conversation with Jerry Abramson, Mayor of Louisville Metro, as a PDF document.